Draft: 2007, Washington Nationals, 2nd rd. Resides in Auburndale, WI during the offseason with his wife, Mandy, their son, Riley and daughter, Ava...Participates in the Autographed Memorabilia Donation and the Autographs for a Cause (donates money to the Auburndale High School baseball program) programs; participated in the Play Baseball Detroit pregame ceremony, the Tigers Winter Caravan and TigerFest...Played college baseball at Division III Wisconsin-Stevens Point, where he started his career as a walk-on and went on to be named a second team All-American...in February, 2019, Zimmermann and his wife, Mandy, announced a donation of $500,000 to the school's baseball program to upgrade its field with a new scoreboard, backstop and batting cages...in recognition of the donation, the university plans to rename the facility Zimmermann Field. Completed his third season with the Tigers in 2018, starting 25 games...Started on Opening Day vs. Pittsburgh, marking his first career Opening Day start…threw 6.0 innings and allowed four runs on six hits with one walk and eight strikeouts...Sidelined from May 6-June 16 with a right shoulder impingement...Struck out a season-high 11 batters and threw a season-best 8.0 innings on July 6 vs. Texas…his 11 strikeouts marked his sixth career double-digit strikeout game and were his most punchouts in a game since he struck out 12 on June 8, 2014 at San Diego...Went 2-3 with a 3.79 ERA (35.2IP/15ER) and 27 strikeouts in six starts during August. Made 29 starts in his second season with the Tigers in 2017 ... Walked consecutive batters in the fourth inning on April 13 vs. Minnesota (Miguel Sanó, Max Kepler) -- marked the first time he had walked consecutive batters since the seventh inning on May 6, 2012 vs. Philadelphia, a stretch of 885.1 innings ... Pitched in his 200th career game on April 19 at Tampa Bay, while he made his 200th career start on April 25 vs. Seattle ... Recorded the 1,000th strikeout of his Major League career on May 23 at Houston, striking out Jake Marisnick to end the second inning ... Made four straight quality starts from June 3-20, posting a 1-1 record with a 2.70 ERA (26.2IP/8ER) and 21 strikeouts ... Finished the month of June with a 1-1 record, a 3.82 ERA (30.2IP/13ER) and 26 strikeouts in five starts. Completed his first full season with Detroit in 2016 and compiled a 9-7 record with a 4.87 ERA (105.1IP/57ER) and 66 strikeouts in 19 appearances, including 18 starts... Did not allow a run in his first three starts of the season, throwing 7.0 shutout innings on April 8 vs. New York (AL), 6.0 scoreless innings on April 14 at Pittsburgh and 6.1 shutout innings on April 20 at Kansas City -- according to the Elias Sports Bureau, Zimmermann became the first starting pitcher in franchise history to not allow a run in his first three starts of a season... Had his consecutive scoreless innings streak snapped at 24.1 innings after allowing a run in the bottom of the sixth inning on April 25 vs. Oakland -- according to the Elias Sports Bureau, Zimmermann became the first starting pitcher to begin his tenure with a team with a scoreless streak of 20.0-or-more innings since Fred Norman began his time with the Cincinnati Reds in 1973 with 26 consecutive innings without allowing a run…Zimmermann's streak is the longest by a Tigers pitcher to begin a season and is tied for the eighth longest by any MLB pitcher to start a season in the Expansion Era (since 1961)... Began the season by picking up the win in each of his first five starts -- became the first Tigers pitcher to win each of his first five starts of a season since Frank Tanana in 1988...Named the American League Pitcher of the Month and Tigers Pitcher of the Month for April after posting a 5-0 record with a 0.55 ERA (33.0IP/2ER) and 23 strikeouts in five starts - led the AL with a 0.55 ERA in April, while he was tied for first with five wins…his 0.55 ERA ranked as the third lowest April ERA in Tigers history (min. 25.0 innings pitched), while his ERA was the fourth lowest April ERA in the majors since 1969 (min. five starts)…the award marked his second Pitcher of the Month honor (also, July 2012)...Started the season with seven consecutive quality starts from April 8- May 11…his seven straight quality starts to begin the season were the longest streak by a Tigers pitcher since Justin Verlander had 10 consecutive quality starts from March 31-May 19, 2011...Placed on the 15-day disabled list on July 4, retroactive to July 1, with a right neck strain... Began an injury rehab assignment with Triple A Toledo on July 24 - made two injury rehab starts with the Mud Hens and had a 1.13 ERA (8.0IP/1ER) with three strikeouts... Activated from the 15-day disabled list on August 4... Placed on the 15-day disabled list on August 5 with a re-aggravation of his previous neck injury... Began an injury rehab assignment with Triple A Toledo on August 26 - made three injury rehab starts with the Mud Hens and had a 0-1 record with a 1.46 ERA (12.1IP/2ER) and eight strikeouts. Activated from the 15-day disabled list on September 6... Made his first career relief appearance on September 25, tossing 3.0 innings and allowing one run on four hits and four strikeouts...Lefthanded hitters posted a .255 (50x196) batting average, while righthanders batted .309 (68x220) against him... Compiled a 5-5 record with a 7.00 ERA (54.0IP/42ER) and 31 strikeouts in 11 games, including 10 starts, at home, while he went 4-2 with a 2.63 ERA (51.0IP/15ER) and 35 strikeouts in eight starts on the road... Posted a 9-4 record with a 3.95 ERA (95.2IP/42ER) and 60 strikeouts in 15 starts prior to the All-Star break, while he went 0-3 with a 13.97 ERA (9.2IP/15ER) and six strikeouts in four appearances, including three starts, following the AllStar break. Started 33 games in 2015 as he completed his sixth season with the Washington Nationals. Finished his six-year Nationals career as the club's all-time leader in wins (70), innings (1094.0), strikeouts (903) and games started (178). Tied for the National League lead with 33 starts, while he ranked sixth with 1.74 walks per nine innings and tied for eighth with 22 quality starts. Made five starts during the month of May and had a 2-0 record with a 1.91 ERA (33.0IP/7ER) and 23 strikeouts -- ranked 10th in the National League in ERA during May. Threw a season-best 8 shutout innings on June 2 vs. Toronto -- also threw 8.0 scoreless innings on June 24 vs. Atlanta. • Recorded nine consecutive quality starts from April 18-June 2 -- posted a 4-1 record with a 2.09 ERA (60.1IP/14ER) and 41 strikeouts during the stretch. During a 15-start stretch from June 24-September 8, went 7-3 with a 2.95 ERA (94.2IP/31ER)...struck out 82 and issued just 15 walks during that stretch. Won five straight decisions from August 18-September 19. Started 19 games at home and had an 8-4 record with a 2.84 ERA (120.1IP/38ER) and 95 strikeouts...went 5-6 with a 4.87 ERA (81.1IP/44ER) and 69 strikeouts in 14 starts on the road. Exceptional season led to second NL All-Star citation...Went 14-5 with a 2.66 ERA in 32 starts...Was fifth in the NL Cy Young Award voting...Despite throwing fewer than 200 innings, struck out a career-high 182 batters and walked just 29, fewest in a complete season...Reached the 32 start plateau for the third straight year...24 quality starts matched Stephen Strasburg for the team lead and matched a Nationals (2005-pres.) singleseason high...That mark matches Esteban Loaiza (2005)...Ranked among NL pitchers in walks per nine innings (1st, 1.307), ERA (7th, 2.66), winning percentage (2nd, .737), strikeout-to-walk ratio (2nd, 6.28), shutouts (3rd, 2), home runs per nine innings (4th, 0.586), WHIP (4th, 1.072), and complete games (6th, 3)...When starting, Washington won final 11 starts to set a Nationals club mark (previous record: T.Redding, 9 straight in 2008)...Was 6-5 with a 3.03 ERA upon selection at the All-Star break, but did not play/attend due to right biceps strain (was not placed on DL)... Earned two National League Player of the Week awards (June 8 and Sept. 28)...Struck out a career-high 12 and was nearly perfect in 6-0 win, June 8 at SDP (9.0 IP, 2 H, 12 K)...Followed that up with a complete-game (loss), in the 1-0 defeat at the hands of St. Louis, June 13 (8.0 IP, 3 H, R, ER, BB, 5 K, HR)...On Sept. 28, the final day of the 2014 regular season, threw the Nationals first no-hitter (BB, 10 K, 104 pitches), first in D.C. since 1931, in season-ending 1-0 win vs. Miami (for a detailed look at the no-hitter, please History and Records Section)...In Game 2 of the NLDS, fired 8.2 innings of three-hit, one run ball, striking out six and walking one. In finest season, 19 wins tied for the NL lead with STL's Adam Wainwright...when starting, Washington went 22-10 (.688)...with career-best 213.1 innings, became the 4th National to surpass the 200-inning plateau (Hernandez, Loaiza, Lannan)...was an NL All-Star (didn't pitch)...posted 30+ starts for 2nd straight campaign...paced the NL with 12 home wins...ranked among NL leaders in wins (tied first, 19), complete games (2nd, 4), pitches per inning (2nd, 14.5), winning percentage (tied 3rd, .679), innings (6th, 213.1), K/BB ratio (7th, 4.03/1), BB/9.0 (7th, 1.69), opponents' OBP (7th, .279), WHIP (8th, 1.08), baserunners per 9.0 innings (9th, 10.08) and BABIP (10th, .275). Turned in finest campaign to date...reached 30-start plateau for the first time...went 5-0 with a 3.64 ERA in final 11 starts at Nationals Park...last lost a game in DC on May 17 vs. PIT...led all qualified MLB pitchers in batting average against (.163) with runners in scoring position...ranked among NL leaders in quality starts (tied 4th, 24), ERA (7th, 2.94) and walks per 9.0 (8th, 2.0)...induced 18 GIDPs after tallying only 13 in first 3 MLB campaigns...24 quality starts matched Esteban Loaiza (2005) for the most posted by a Nationals starter since team relocated to DC...went 8-3 with a 2.14 ERA in 18 starts when pitching on regular rest, as opposed to 4-5 with a 4.06 ERA in 14 starts on extra rest. Went 8-11 with a stellar 3.18 ERA in 26 starts for the Nationals in healthy and encouraging return from Tommy John surgery in Aug. 2009...did not pitch in Sept. as the Nationals sought to limit inning tally for 2011...ranked among NL leaders in fewest walks per 9.0 innings (3rd, 1.7) and ERA (10th, 3.18)...threw an economical 15.3 pitches per inning (entered '11 averaging 17.4 for career)...was stingy with the long ball, allowing just 12 home runs in 161.1 innings (tied 5th in NL among those to make at least 25 starts)...run support average of 3.01 runs per 9.0 innings (runs only count while in the game) was the 2nd-lowest in the NL (Tim Lincecum, 2.94)...in 7 no-decisions (Washington went 5-2), posted a 2.53 ERA, thrice left in line for a win (July 31 vs. NYM, June 24 at CWS, May 12 at ATL), allowed zero runs thrice (July 31 vs. NYM, June 24 at CWS, June 23 at SDP) and fanned 10.1 per 9.0 innings...notched 11 straight quality starts, May 1-June 26, to set a new Nationals club record (Livan Hernandez posted 10 straight in '05)...16 quality starts doubled career total (8 in 23 starting assignments) entering 2011...at 2.66, posted the best pre All-Star break ERA in the 7-year history of the Nationals (previous mark: John Patterson, 2.91 in '05)...in 2nd inning on May 6 at FLA, struck out the side (Mike Stanton, Greg Dobbs, John Buck) on 9 pitches...in doing so, became the first Nationals pitcher to turn the feat...went the distance for the first time, requiring just 93 pitches, but suffered tough-luck 1-0 loss on June 29 at LAA, as the Halos scrapped across an unearned run. Returned to the Nationals and to health after having ligament-replacement surgery in August of 2009...upon return, was just 12-plus months post surgery and was met with a pitch-count and game-by-game innings limit...allowed one earned run or less in 4 of 7 starting assignments...posted 7.8 strikeouts per 9.0 innings pitched and a 2.7/1 strikeout-to-walk ratio...pitched well on the road thanks to a 3.60 ERA, 9.0 K's per 9.0 innings and a .232 batting average against... spun 6.0 innings of one-hit scoreless ball, walking none and fanning a career-best 9 in an Aug. 31 no-decision at FLA...notched lone win of the season on Sept. 24 vs. ATL, allowing one run in 5.0 innings in Washington's 8-3 victory...on road back to DC, went 1-2 with a 1.59 ERA in 10 minor-league starts...in those 10 starts or 39.2 innings, posted a 5.2/1 strikeout-to-walk ratio, struck out 7.0 per 9.0 innings and posted a .193 batting average against. Flashed immense promise going 3-5 with a 4.63 ERA in 16 starts with the Nationals, but had season cut short by elbow injuries...had season-ending surgery to repair the right-elbow UCL on August 19...the procedure was performed by Dr. Lewis Yocum in Los Angeles, CA on August 19...was the first true rookie to enter a season in Washington's rotation since Matt Chico in 2007...earned the win in first 2 starts, April 20 vs. ATL and April 26 at NYM...thus, became the first franchise (exclusive) starting pitcher to garner the win in initial 2 big league starts since Randy Johnson did the same for the Expos in 1988 (in 2006, Beltran Perez did the same, but sandwiched around 5 relief appearances)...at time of final start, ranked among NL rookie leaders in strikeouts (first, 92), ERA (4th, 4.63), wins (tied 6th, 3), starts (2nd, 16), innings (4th, 91.1) and batting average against (5th, .271)...was touched for 2 runs or less in 6 of final 8 starts...in 91.1 innings, walked just 29 and struck out 92, good for a 3.2/1 strikeout-to-walk ratio which would have ranks 14th in the NL with enough innings to qualify...would've also ranked 9th in the NL with 9.07 K's per 9.0 with enough innings to qualify...went 1-0 with a 1.82 ERA in 4 interleague starts. Game-By-Game Highlights: Dominated AL's best offensive club in a 9-3 victory, June 25 vs. BOS...allowed one run on 5 Red Sox hits in 7.0 innings, walking one and striking out 6 to secure 3rd win. In Minor Leagues: Pitching for Triple-A Syracuse, on April 9, allowed 3 runs on 4 hits in 5.1 innings...start was necessitated by series of off days for Washington in the opening weeks of the season. Went a combined 10-3 with a 2.89 ERA in 25 games (24 starts) with Harrisburg and Potomac in '08...led the Washington chain in ERA and strikeouts (134), and tied for lead in wins...the 22-year-old earned mid-season Eastern League All-Star honors, his 2nd All-Star selection in as many seasons...went 7-2 with a 3.21 ERA (38 ER/106.0 IP) in 20 starts with Harrisburg...prior to his May 4 promotion to Harrisburg, Zimmermann dominated the Carolina League, going 3-1 with one save and a 1.65 ERA (5 ER/27.1 IP) in 5 appearances (4 starts) with Potomac. Entered season rated as the No. 7 prospect and 5th-best among pitchers in Washington system...finished 5th in Single-A New York-Penn League with a 2.38 ERA...struck out 71 in 53.0 innings (12.0 K's per 9.0 innings)...was Vermont's Pitcher of the Month for August/September, going 3-1 with 36 strikeouts and a 2.73 ERA in 6 starts. June 16, 2018 Detroit Tigers activated RHP Jordan Zimmermann from the 10-day injured list. June 11, 2018 Detroit Tigers sent RHP Jordan Zimmermann on a rehab assignment to West Michigan Whitecaps. 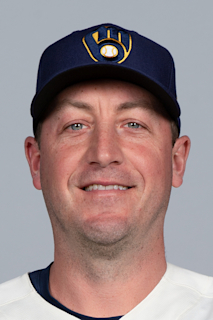 May 27, 2018 Detroit Tigers sent RHP Jordan Zimmermann on a rehab assignment to Toledo Mud Hens. May 8, 2018 Detroit Tigers placed RHP Jordan Zimmermann on the 10-day disabled list. Right shoulder impingement. September 6, 2016 Detroit Tigers activated RHP Jordan Zimmermann from the 15-day disabled list. August 26, 2016 Detroit Tigers sent RHP Jordan Zimmermann on a rehab assignment to Toledo Mud Hens. August 7, 2016 Detroit Tigers placed RHP Jordan Zimmermann on the 15-day disabled list retroactive to August 5, 2016. Right lat tightness. August 4, 2016 Detroit Tigers activated RHP Jordan Zimmermann from the 15-day disabled list. July 24, 2016 sent RHP Jordan Zimmermann on a rehab assignment to Toledo Mud Hens. July 24, 2016 Detroit Tigers sent RHP Jordan Zimmermann on a rehab assignment to Toledo Mud Hens. July 4, 2016 Detroit Tigers placed RHP Jordan Zimmermann on the 15-day disabled list retroactive to July 1, 2016. Right neck strain. November 30, 2015 Detroit Tigers signed free agent RHP Jordan Zimmermann. November 2, 2015 RHP Jordan Zimmermann elected free agency. July 11, 2015 Washington Nationals activated RHP Jordan Zimmermann from the paternity list. July 10, 2015 Washington Nationals placed RHP Jordan Zimmermann on the paternity list. August 26, 2010 Washington Nationals recalled RHP Jordan Zimmermann from Syracuse Chiefs. August 1, 2010 Washington Nationals optioned Jordan Zimmermann to Syracuse Chiefs. July 31, 2010 sent RHP Jordan Zimmermann on a rehab assignment to Harrisburg Senators. July 26, 2010 Potomac Nationals sent RHP Jordan Zimmermann on a rehab assignment to Hagerstown Suns. July 3, 2010 sent RHP Jordan Zimmermann on a rehab assignment to Potomac Nationals. February 19, 2010 Jordan Zimmermann roster status changed by Washington Nationals. November 8, 2009 Washington Nationals activated RHP Jordan Zimmermann from the 60-day disabled list. August 28, 2009 Washington Nationals transferred RHP Jordan Zimmermann from the 15-day disabled list to the 60-day disabled list. August 4, 2009 sent RHP Jordan Zimmermann on a rehab assignment to Potomac Nationals. July 23, 2009 Washington Nationals placed RHP Jordan Zimmermann on the 15-day disabled list retroactive to July 19, 2009. Right elbow discomfort. April 20, 2009 Washington Nationals purchased RHP Jordan Zimmermann from Syracuse Chiefs.